Do you have a favorite online source for books and articles? I am always looking for new sources and found a couple that you should check out. 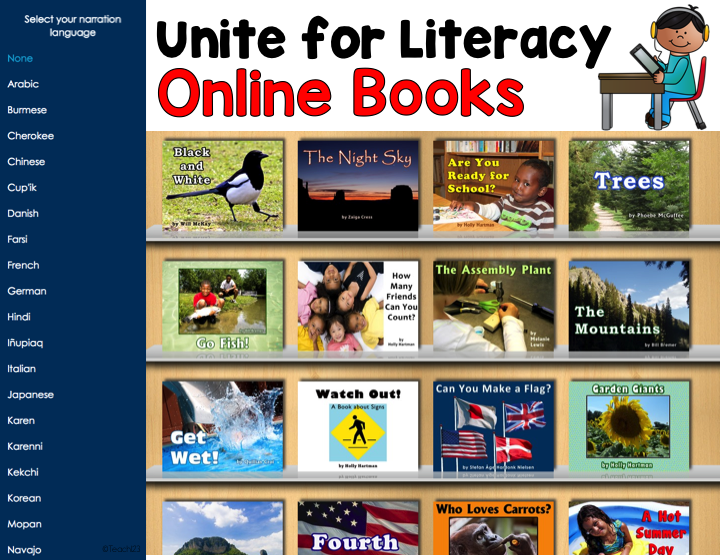 Unite for Literacy is an amazing source of FREE books online. The language option is a bonus of this site. 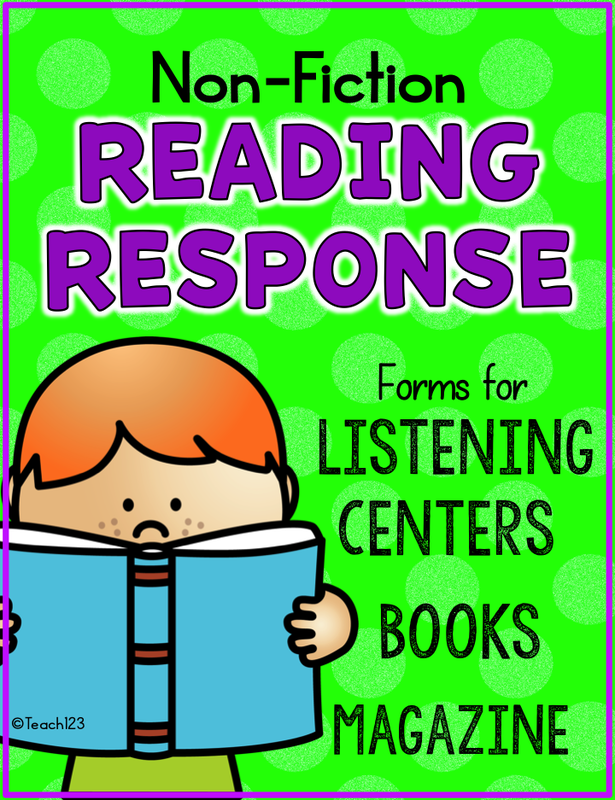 Perfect for teachers with ESL or bilingual students. In the graphic above are a few of the language options available for the stories to be read to your students. Stories are organized by topic so you can easily integrate these with your social studies and science lessons. The only information this site collects from you is the county that you reside so they can continue to improve children’s access to books. 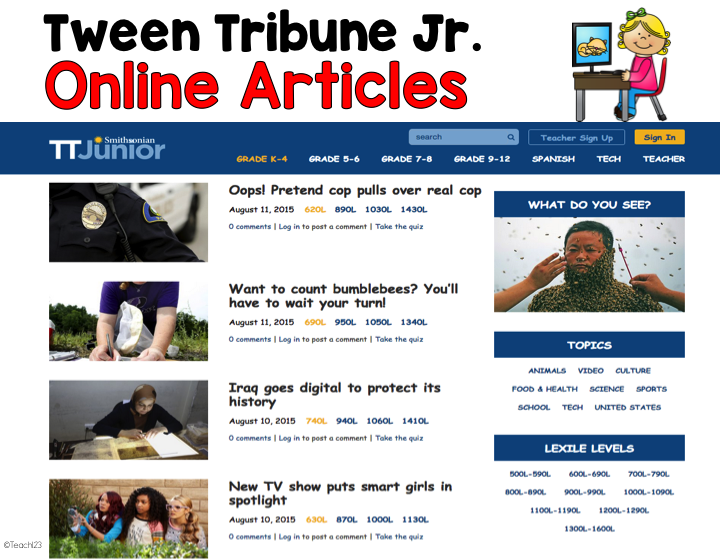 Tween Tribune Jr. is a site sponsored by the Smithsonian Institution. 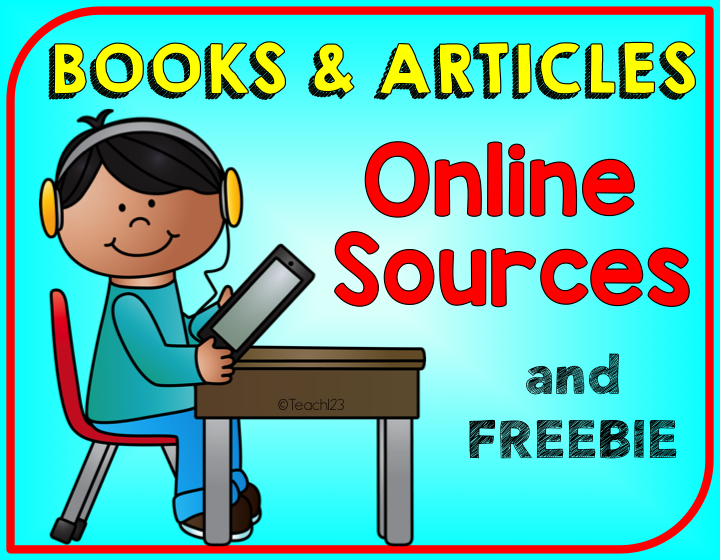 This is a great source of FREE informational text articles about a wide variety of topics. Articles are organized by topics so you can integrate them with your social studies and science lesson. Lexile levels are given also so you can differentiate to meet the needs of your students. You can click on “Spanish” at the top of the site to convert the site from English to Spanish. I have a Pinterest board with other site you may want to check out. I just revised and added to my Magazines and More packet. If you previously purchased it, you may go to “my purchases” to download the new version. The new version now includes 2 reading tracker pages. 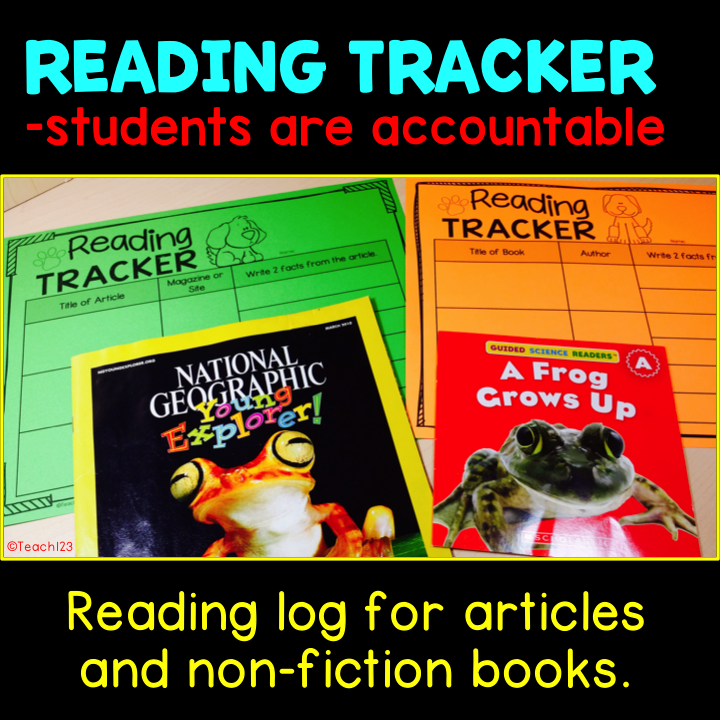 Students will use one of the pages for keeping track of the articles (online or magazines) that they read. 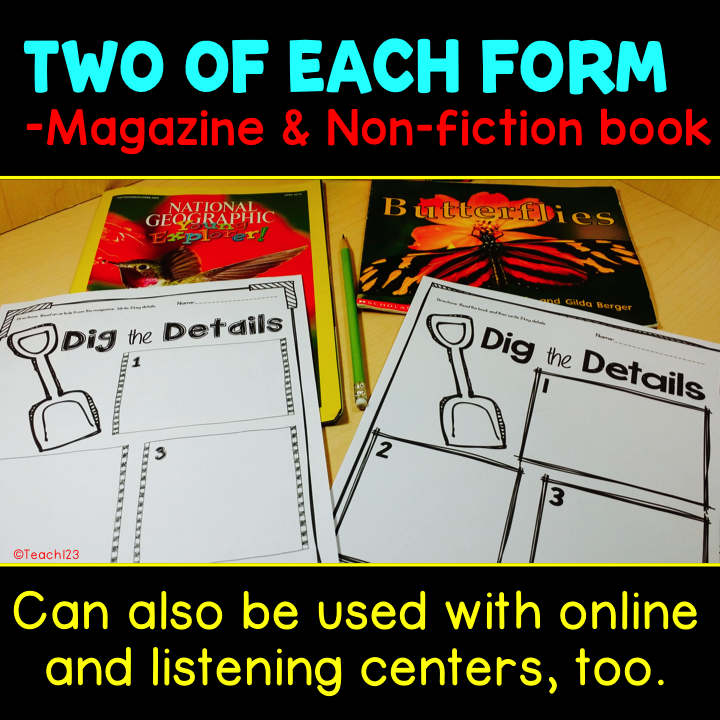 Use the other page to document the non-fiction books that they listen to or read. Tip: I think it is helpful to print them on different colored paper. There are two versions of each assignment, one for articles and one for non-fiction books. The assignments look similar, but have a different border to help students. Would you like to try this? I have a FREE sample for you. Click HERE if you’d like to see the preview file.